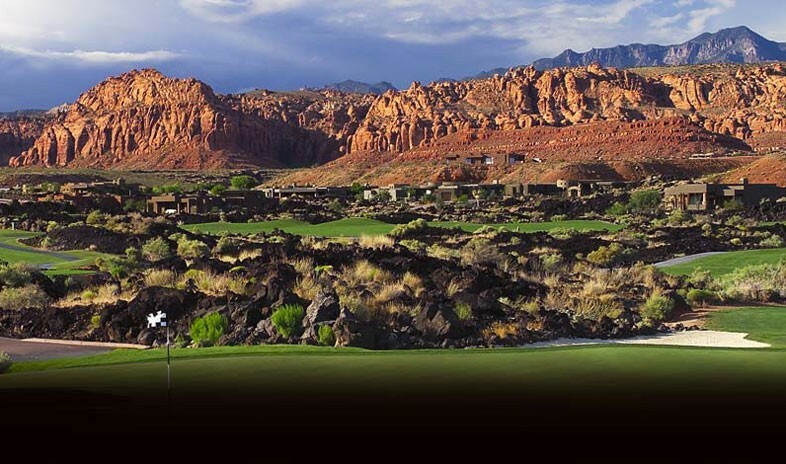 The Inn at Entrada lies within the gated community of Entrada at Snow Canyon Country Club, where everything basks in the stunning red-rock scenery of St. George, Utah. One of the community’s founders, Robert Redford, filmed several of his most iconic movies in the area—including Butch Cassidy and the Sundance Kid. The inn’s exteriors took inspiration from ancient Anasazi dwellings, but the level of luxury inside is pure twenty-first century. All 40 casitas come with smart technology, Wi-Fi, fireplaces, and private patios. Even the smallest include kitchenettes and Jacuzzi tubs, while the largest add full kitchens, living and dining areas, laundry facilities, and up to five bedrooms. Because the casitas cluster near the ninth hole of the club’s Johnny Miller Signature Golf Course, many of the windows overlook emerald fairways and ancient black lava flows against a backdrop of red-rock cliffs. Guests tee off on what Golf Digest ranks as the No. 1 year-round private course in Utah. They also have access to the club’s Kokopelli Restaurant and Lounge and its Entrada Sports and Fitness Center, where guests may enjoy indoor and outdoor pools, a fully equipped gym, exercise classes, extensive spa services, and courts for volleyball, basketball, pickleball, and tennis. Guests with business or parties on the agenda meet in the ballroom, which entertains up to 60 people or divides into three state-of-the-art function rooms. Inn at Entrada is in a gorgeous gated community and desert setting. The casita accommodations are spacious, beautiful and well-appointed...and provide a garage attached to each casita. The staff is very friendly and helpful. Dining options on-site are limited -- but the food and view are wonderful.